Children – innocent, unassuming with a quench for knowledge, are sweet little creatures who need the proper nurturing in the form of education, physical activities and mental development. Each child differs from the others – each has a different set of skills and talents. If they are properly nurtured, then the talent and expert skill in each can be easily nourished. Like the stripes of a zebra, schools are also different from each other. One may think that since it is all about education, affiliations, boards, teachers, etc. – each school may be the same. This is a wrongful assumption. Schools are as different as children themselves. The culture of every school is ingrained in its essential principles and the ethos by which is it being run by the founders. While some may find day school beneficial, others may prefer boarding schools. This is a subjective debate and every person would have an opinion about. The opinion about the type pf school is essentially a matter of past experience and the strive to achieve something better, something different in life. Let’s deal with boarding schools. Boarding schools are a house of knowledge and experience for children. They children are kept in a safe and secure environment and their overall development is catered to. 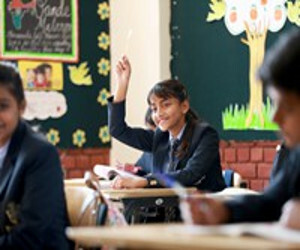 Choose boarding schools in Dehradun CBSE for your ward, and can draw up a list of shortlisted schools. Consult peers, friends, websites, experts and online forums to draw up a list. 1 Learning culture – Does the general environment, the location and the practices of the school promote a learning atmosphere? You would be surprised to know that many schools do not quality this criteria. Learning culture stems from the interest of the faculty, the founders, the ambience of the school. Students are young minds who get influenced and follow what they see and perceive. 2 Faculty rating – Thoroughly research on the faculty of the school. Also, browse through the list of external faculties, guest lecturers, the professors and other people associated with the school. The most distinguished they are, the better the learning environment and the atmosphere for the child. 3 Activities – Along with studies and formal education, it is important that the mental and physical faculties of the child is equally developed. If well developed, the child is sure to have a bright future and a proud citizen of the country. For such wholesome development, the child should be made to indulge in other activities in equal measure. For instance, organising fests, events, participating in extempore, debates, science shows, playing football, rugby, tennis, etc. are a few activates that a boarding school should essentially have, among many others. 4 Accommodation and fooding – since your child will be spending an ample time of their developing years in the boarding school, you should check the accommodation provided as well as the food. Most schools offer a day long pass for the prospective parent looking to admit their child. You can spend time within the premises of the school, have a meal with the students, check out the dorms, interact with the faculty, inspect the gym equipment, the classrooms, etc. 5 Special attention – If you child has showcased a special talent, the school should see to it that the talent is exposed and your child expresses it in the best possible way. For instance, if your 10 year old draws well, teachers in the school should be able to give time to focus on her and enter her in competitions and hire experts for her, if necessary. Our School is proudly affiliated with the following Organizations. Thank you for Downloading the brochure.